After an introduction to the historical aspects of dispute resolution, this article discusses the relevance of Online Dispute Resolution (ODR) methods for a smooth transition to the Internet Age. Nowadays, there are two recurring questions regarding Artificial Intelligence that are very difficult to be answered: How far will humans interact with machines? And until what point humans can be replaced? The current issue consists on identifying the effectiveness of insertion of clauses of mediation in contract of insurance and reinsurance in corporate law and consumer law, exclusively in private mediation. 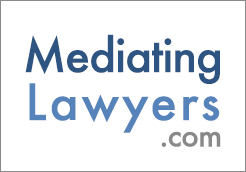 In the late 90’s in Brazil, a sudden interest in Mediation started to develop under the influence of the newly enacted Argentinean legislation (1995). Unfortunately, just until a few years ago, mediation had grown at a very slow pace, with a few advocates effortlessly lobbying for its widespread implementation and for a local legislation. The symbolism of the term ‘’black belt’’ may lead us in the first place to its meaning in the martial arts field, especially when you had your childhood influenced by the lessons from Mr. Miyagi and Daniel San’s hard path in Karate Kid. Comparatively, but differently from the Karate world, our corporate environment also has “black belts” who rely on knowledge, discipline and wisdom. As it happens every four years, it is the FIFA World Cup again. I must confess that I am not a football enthusiast myself, but with the greatest football stars at my doorstep, and all the media hype, it is almost impossible for any Brazilian not to get involved at some level. But it is not all rosy, as street protests and some other initial reactions by the Brazilian population against the event throughout the last 12 months have negatively impacted the tournament image. "There is something you should understand about the way I work. When you need me but do not want me, then I must stay. When you want me but no longer need me, then I have to go. It’s rather sad, really, but there it is." Despite the beautiful summer sunshine outside the window, the end of holidays always bring us back to the unavoidable reality of the new year: hard work. January is time to go through the large number of data and information that is published every year end, picturing not only the previous year (in this case, 2012), but also forecasting future trends. In mediation training and experience are key words that path the way to success. Good mediators must learn to be conscious of their own emotions and to be aware of the emotional reactions of mediation participants to intervene effectively in a conflict. The relationship between growth and the combination of knowledge and human capital is no surprise. The economic environment is fast changing and technology driven. Brazilian Constitution and the labour laws (CLT- Consolidação das Leis Trabalhistas) prescribes a series of norms that challenge the worldwide trend to resolve labour disputes though direct parties’ negotiation or even through mediation. Looking beyond the short term, the fun, and the parties, large international sports events are an opportunity for the host country to improve the life of its citizens on a permanent basis.